For anyone who might not know, Nanaimo bars are a three layer dessert featuring a crumb-based layer, a butter icing layer, and to top it off, a melted chocolate layer. A super cool fact is that these delicious no-baking-required treats are named after a west coast city very close to my own home: Nanaimo, British Columbia! 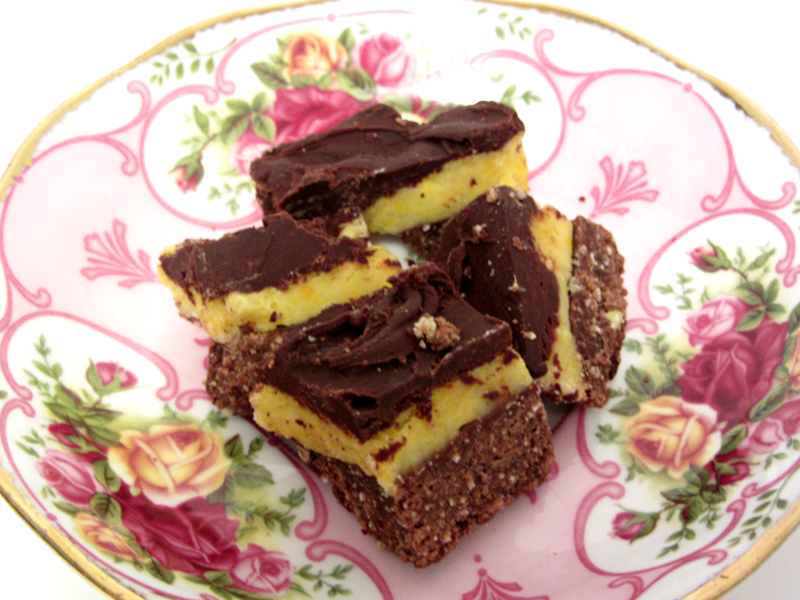 Way back in 1986, the Mayor of Nanaimo, Graeme Roberts, started up a contest to find the best Nanaimo Bar recipe. The contest lasted a month, and almost 100 different recipes were submitted, but the winner was Joyce Hardcastle. 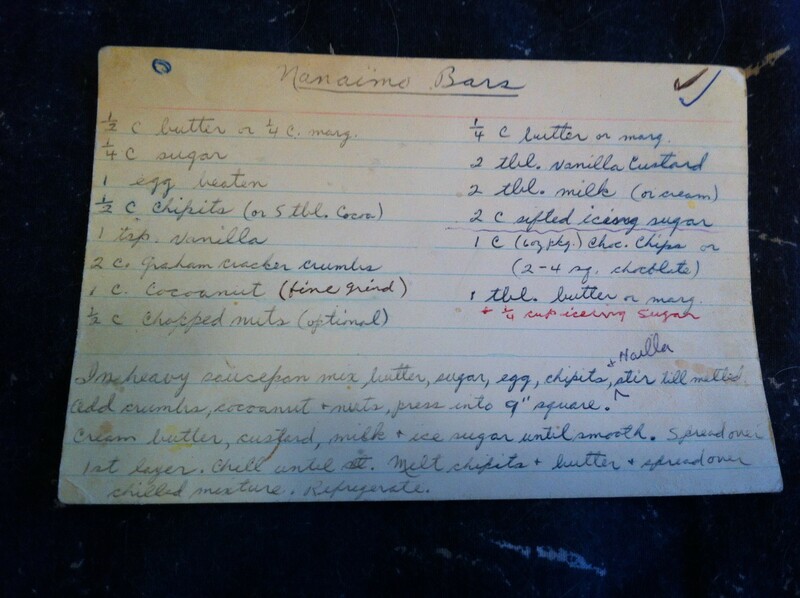 Now I don’t know if my family Nanaimo Bar recipe is the same as Joyce Hardcastle’s, and it hasn’t been recognized by any mayor, but it is the most delicious recipe I have come across, and as a Canadian, I have tried lots!!! Step 2: Cream butter, custard, milk, and icing sugar until smooth and spread evenly over crumb layer. Then chill these two layers in the fridge until set. Step 3: To make the top later, melt butter and chipits over low heat, then allow to cool. Once cooled but still in liquid state, pour over first two chilled layers.. Step 4: Chill the pan in the refrigerator. 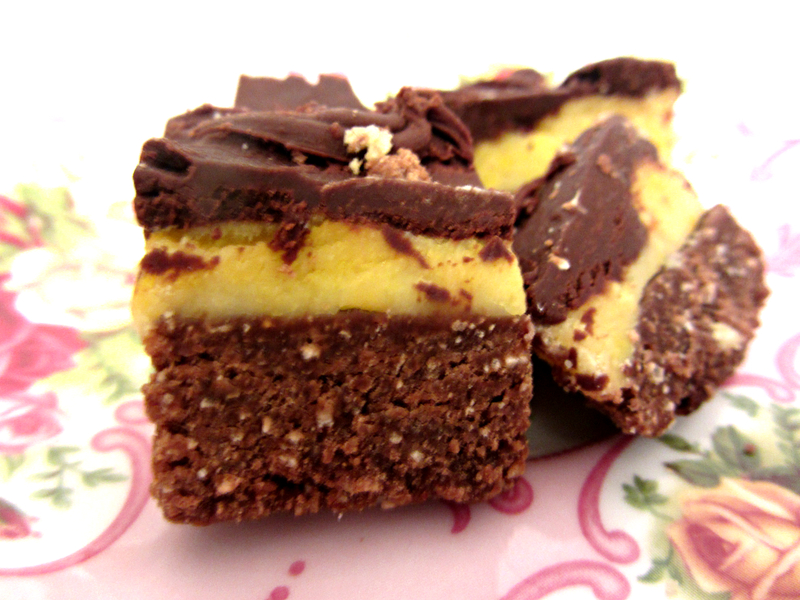 If you haven’t made Nanaimo bars before, give this recipe a try and let me know what you think!!! Let me know how the vegan recipe works out!! !